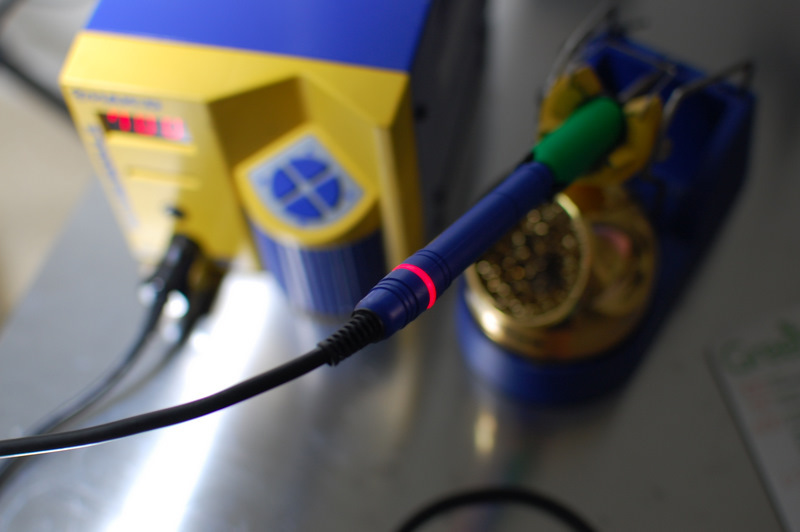 Hakko USA announces the end of the 936 and 937 soldering stations. available only until the present parts supply is exhausted." A similar statement is made for the 937. 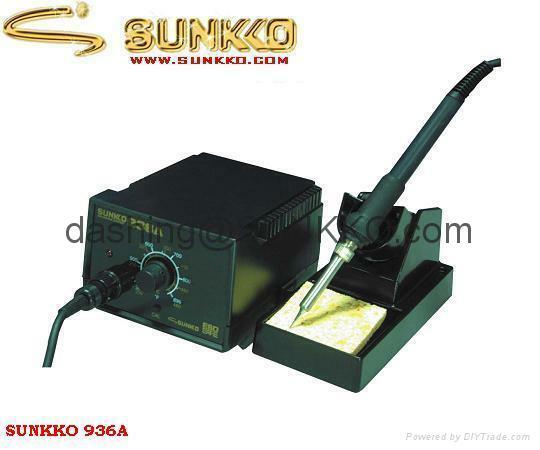 Re: Hakko USA announces the end of the 936 and 937 soldering stations. The good news is that the FX-888 tips fit in the 936 iron (I think). Dave tried it out, I think in one of the live shows, and aside from a bevel in an unimportant spot it seemed to work fine for him. Let's hope anyway. I'm with you, my 936 is only a year old. Oh well, these units are pretty darn reliable and I suspect that even if parts become unavailable from Hakko directly, someone will have a stash of suitable bits somewhere for quite some time to come. I just bought a 936 4 months ago and love it, but actually I'm sort of annoyed that the FX-888 wasn't released in the states at the time -- it was the only entry-tier station available in the rest of the world, but the U.S. was totally left out! It would been too much money and hassle to import one so I bought the 936 instead. No regrets. These units have been copied so often by other manufacturers. You should also be able to get spare parts from other manufacturers. The quality will be different, however. You could test Hakko's support by sending them an e-mail and asking them what they really mean with "only until the present parts supply is exhausted". In general, if a company stops not only the production of a unit, but also drops the spare part production like a hot potato it shows that they haven't reached quality brand status. Something to keep in mind when asked to recommend a soldering station next time. Hmm.... I thought I replied to this yesterday but I don't see it, so here goes again. The discontinued tips that are not replaceable by the new 888 tips will continue to be available by special order, whatever that means. You can see the statement at the bottom of the old tip/new tip chart, link listed above. Yes, did see that, didn't mean to imply you didn't mention it. I fear special order often means higher cost and waiting. How practical this will be remains to be seen, limited runs with make buying it impractical unless a lot of people do the same. However, the 936 has so many tips, more than I can use, that some of the T series tips are good substitutes. I just bought a FX-888 this 1st week of January about $182 from Hakko Philippines but haven't used it yet due to busy work schedule. The unit is specified @ 230V 50/60Hz meaning units sold in the Philippines are the same sold in Australia and New Zealand. The stylish design really doesn't look industrial-functional, and looks like its main market is hobbyists. 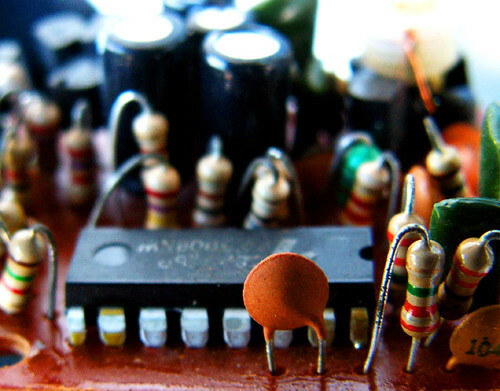 Reminds me of 1950s style design, like Bakelite radios: curved lines, wide thick knobs. According to Hakko Philippines the 936 is also discontinued I have no choice but to buy its recommended replacement. Did not mean its less good than the 936! On the contrary, it has pros and some cons; the 936 is slightly bigger and bulkier you know. I think if I didn't own a 936, I would buy the 888 without a second thought. A Hakko 936 look alike for $39.95 from SparkFun Electronics? There are many 936 look alikes, but none say they really work a like. I think so many clones are a reason Hakko phased out this model. Here is Sunkko, Aoyue and SBK. There are many 936 look alikes, but none say they really work a like. I think so many clones are a reason Hakko phased out this model. I always thought there is only one or two clone manufacturers, and they just print whatever brand you like on the enclosure when you buy in volume. Clone makers: very possible they are all the same. See below. The 936 is one of the few all made-in-japan things I find today. I haven't opened mine to find if its PCB is still made there, but it does have 'made in japan' marked on the casings of its components. The 936 first appeared in the late 1990s? 97? and no look alikes appeared until mid-2000s, ~ 2004-06; this matches a google search on terms and the year the terms first appeared. 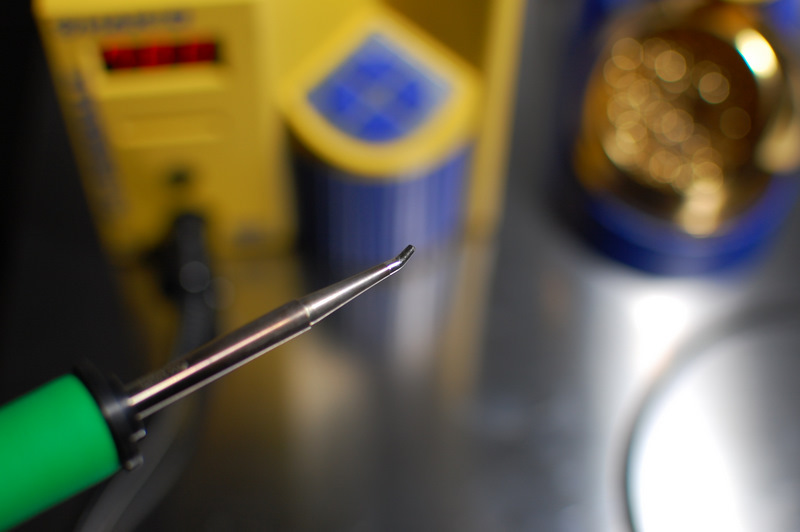 IMHO, the technology in the 936 base is fairly basic, and can easily be copied; the real tech part is the alloy used in its tips, and are more distinctive of Hakko. Hakko has also been slow to enforce its intellectual property. 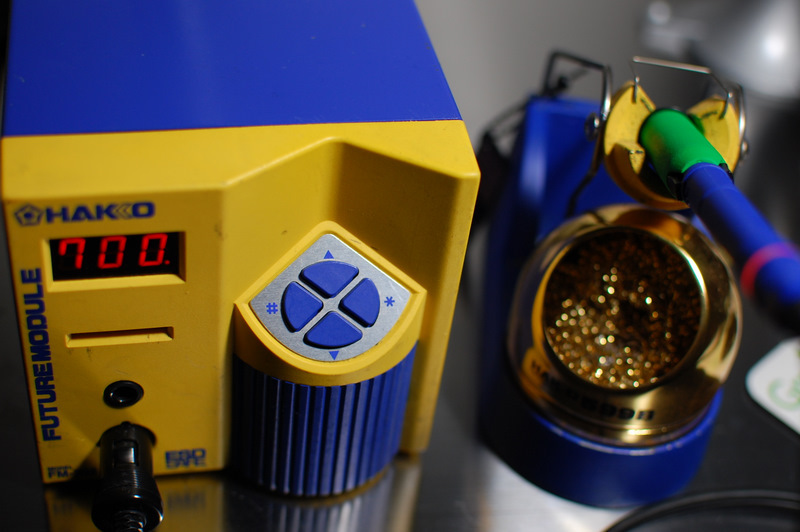 So, based on the above, I think the Hakko 936 was originally designed and all non-clones built, by Hakko in Japan. The 936 is discontinued as of 2011/01/17 and will be replaced by the FX-888. I've got the Hakko FM-202 . Simply an incredible workhorse. Uncompromised quality, impeccable operation and aesthetically beautiful industrial design (if that matters ). The selection for the tips is overwhelming. I've got a couple of tips - one is shown below in the pictures. It is bent at a 30 degree angle with a flat side for higher contact surface area. This is heats up in 4 seconds from 0 to 700F! I got this baby for $50 off of eBay...awesome deal if you ask me. I agree! We have 2 units at our engineering lab after more than 5 years still in great shape. I decided to purchase the FX-888 for personal use because FM-202 is a bit pricey.